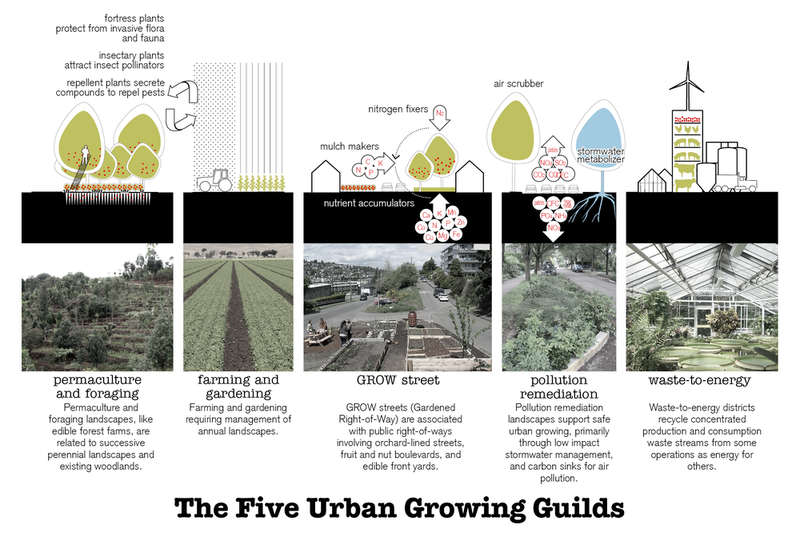 A project that seeks to build food sustainability by promoting local urban agriculture was recognized earlier this month at the annual meeting of the Congress for the New Urbanism. The University of Arkansas Community Design Center led the team that created the Fayetteville 2030: Food City Scenario project, which won an Award of Merit in the category for Planning Tool or Process. The Charter Awards ceremony was held earlier this month at the Buffalo Niagara Convention Center in Buffalo, New York, at the organization’s yearly Congress meeting, which brings architects, urban planners, developers and advocates together to network, learn and collaborate. The Congress is an international organization that works with multidisciplinary professionals to promote walkable, diverse and sustainable development. Lioneld Jordan, mayor of Fayetteville, was one of about two dozen leaders from Northwest Arkansas who attended the meeting in Buffalo. The Walton Family Foundation funded the travel of this region’s leaders to the conference, which included a special meeting with the Congress board and chief executive officer. Mayors, chamber of commerce officials, county commissioners and Northwest Arkansas Council officials attended in an effort to develop greater urban livability and planning coordination in the region. Food City Scenario is a solid project that caught the attention of the Charter Awards judges and also features some ideas already being implemented in Fayetteville, Jordan said. The Fayetteville City Council recently passed a comprehensive urban agriculture ordinance, which allows city residents to raise goats and bees, plus more chickens than previously allowed. It also allows them to sell produce grown in their home gardens. Next, city officials plan to look at the possibility of planting fruit and nut trees alongside public streets. The Community Design Center led an interdisciplinary team at the University of Arkansas whose project, Fayetteville 2030: Food City Scenario, speculates on what Fayetteville might look like if the city’s growth integrated local urban food production sustainable enough to create self-sufficiency. Fayetteville’s population of 75,000 is expected to double over the next 20 years. In addition, although the region is the most prosperous in the state, it also has one of the state’s highest child hunger rates. Supported by the Clinton Global Initiative, Food City Scenario is an urban agricultural project that aims to weave agricultural urbanism back into the city environment, with the prospect of helping Fayetteville achieve greater food security and resiliency, said Steve Luoni, director of the Community Design Center. Most cities stock a three-day supply of food, mostly from global supply chains, “meaning that we are only nine meals away from anarchy,” Luoni said. This scenario devises a middle-scale urban food production model that lies between the scale of the industrial farm and the individual garden, called the “missing middle.” In this plan, this foodshed – a geographic area of connected food production and consumption – functions as an ecological municipal utility, featuring green infrastructure; public, food-producing landscapes, such as edible forest farms, orchard-lined streets, fruit and nut boulevards; food hubs; organic waste recycling districts; and various other agrarian initiatives. Juror Brent Toderian called Food City Scenario a “highly creative, comprehensive and leading-edge ‘thought piece’ on urban food.” From farm-to-table arrangements with local institutions to a closed-loop, upcycling waste management system (including extracting nutrients from food waste through composting) to several greenhouse and other geothermal plans, Food City is an in-depth look at a city’s vibrant potential. “The project went well beyond policy and principle, to connect urban food production with alternative growth scenarios, public space types, and real-world housing,” Toderian said. This collaborative plan involved the Fay Jones School of Architecture, the department of biological and agricultural engineering, the Center for Agricultural and Rural Sustainability, the School of Law and its master of laws program in agricultural and food law, the department of food science, and the city of Fayetteville. This team also worked with local nonprofit groups dedicated to fighting hunger and poverty. The report can be found on the Community Design Center’s website. Earlier this year, this project was recognized with an Honorable Mention in the 61st Progressive Architecture Awards program.